​BECOME a connected art educator. Click here to view the Fall 2018 Newsletter and all previous newsletters. Proposals for Fall 2019 Conference Being Accepted Now through June 1st. We are now accepting proposals for our 2019 Fall Conference: Creative Types, which will be held Thursday and Friday, October 17th and 18th, 2019 in Manitowoc, Wisconsin. Proposals are due by June 1st! The Northern Invasion Art PD is coming soon. Learn more by clicking here for details. It's time to get your students' Youth Art Month entries prepared. The dates and times of the various regional shows are posted and teachers are choosing the works to highlight at this year's exhibitions. Visit the YAM2018 page to learn more. The fall conference was FANTASTIC!!! The theme Art for All was evident in the presentations, hands-on activities and collaborative social gatherings. ​Inspirational featured speakers included: Bob Reeker, NAEA-Western Region Vice President , Nic Hahn, MiniMatisse Blogger from Minnesota and Mrs. Jeanne, an author and illustrator from Wisconsin. ​To view photos and hear more about the conference visit the link below. If you are presenting at the WAEA Fall Conference in Wausau we'd love to have you share your handouts, presentations etc. with all members. Please use the Google Folder link here and share. Make sure you name the files/folders with your name and the name of your presentation so it is easy for participants to find. Thanks in advance for presenting and making our conference terrific. ​Congratulations to the November-December art teacher of the month, Christine Kernan . To Learn more about Valens click here. ​Congratulations to the October art teacher of the month, Jacqueline Valens . To Learn more about Valens click here. ​Congratulations to the September art teacher of the month, Natasha Monahan . To Learn more about Monahan click here. June 1st Fall 2019 Conference Proposals DUE! ​Click here to view the Fall 2018 Newsletter and all previous newsletters. The visitation is Saturday, January 5th from 1-5 at Grace Lutheran Church in Eau Claire. Funeral service is Sunday, January 6th from 2-3:00 with a social gathering from 3-5:00 at Grace Lutheran Church in Eau Claire. Visit our news tab to learn more about a donor funded opportunity for Wisconsin teachers to participate in the Memory Project. ​All Awards Nominations are due Friday, April 12th. Visit the awards page to learn more about this! Art Educator of the Month Nominate Someone You Know Today! Do you know an art educator who has been especially "rockin' it" this past month? If so consider nominating them to be featured here and on all our social media sites as WAEA Art Educator of the Month! Download the PDF here for more details. ​Congratulations to the April art teacher of the month, Ben Lamp To Learn more about Lamp click here. ​Congratulations to the March art teacher of the month, Courtney Goss. To Learn more about Goss click here. ​We are SO excited and honored to finally announce that the National Secondary Art Educator of the Year is our very own Frank Juarez! Congratulations Frank for a well deserved honor! He will be honored in a couple of weeks in Boston at the NAEA Convention. Frank Juarez is a gallery director, art educator, artist, author, advocate, and community arts leader living and working in Sheboygan, Wisconsin. Juarez brings over a decade of art education and arts management experience organizing local and regional art exhibitions, community art events, facilitating presentations, supporting artists through grant programs, and professional development workshops. This has placed him in the forefront of promoting artists, networking, and attracting regional and national artists to collaborate and exhibit in Wisconsin. Juarez is actively involved in the Wisconsin Art Education Association and the National Art Education Association. He has served on the following arts organizations: Milwaukee Artist Resource Network, Arts Wisconsin, and the Cedarburg Cultural Center. He is the founder of the Sheboygan Visual Artists. In 2011, he opened the Frank Juarez Gallery in Sheboygan and has relocated to Milwaukee. He has presented at local universities, colleges, galleries, and artist groups on Professional Practices for Artists: Business of Art. He is the founder of two projects focused on contemporary art and art education called The Midwest Artist Studios Project, The 365 Artists 365 Days Project, Artdose Art Guide, and FRANK & CO WI art e-new. In 2015, he was awarded the 2015 Wisconsin Art Education Association Teacher of the Year and in 2016, he was awarded the 2016 National Art Education Association Wisconsin Art Educator of the Year and co-founded the Randall Frank Contemporary Art Collection Artist Grant Program. In 2018, he has been elected to serve on the National Art Education Foundation Board of Trustees and has been awarded the 2018 Herb Kohl Educational Foundation Teacher Fellows Award. Recently, he has been awarded the 2019 National Secondary Art Educator Award. Juarez is the art department chair at Sheboygan North High School and contributing editor of SchoolArts Magazine. We are so proud of you, Frank Juarez, and so lucky to have you in Wisconsin! ​The National Art Education Association's Western Region recognized Sarah Krajewski - Wisconsin Art Educator of the Year! Congrats Sarah! Come meet & honor all Western Region Awardees on Friday, March 15 in Boston. Go WEST! ​Congratulations to the February art teacher of the month, Sara Hinke. To Learn more about Hinke click here. ​Congratulations to the January art teacher of the month, Julie Theim. To Learn more about Theim click here. Congratulations to our 2018 Award Recipients and Fellows class. They were honored at the Fall Conference. It was inspiring to hear each of their stories which gave testimony to the theme of the conference that Art is for All. To learn more about the Fellows class click here. To learn more about the Awardees click here. WAEA has recently revised their guidelines for becoming a sponsor of the organization. To learn more about this click the new Advertising Tab at the top of this page. 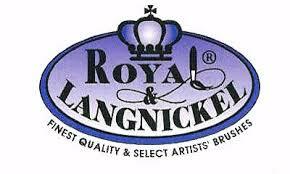 Our current sponsors include Davis Publications, Blick Art Supplies, Nasco Art Supplies and Royal Langnickel. The WAEA Board is nominated and elected by YOU the members of WAEA. How can we serve you? What are your needs? There are many leaders you can connect with through the BOARD Links on this site. Visit the WAEA Board webpage for emails to all our Board members. Never hesitate to ask a question or seek guidance for yourself, your students and your program.